It is currently 4:53 on a Sunday morning. I am wide awake whilst the rest of my household is asleep. Why? Because today is the day I go and collect the wife's new car. I had put a deposit down on it before Christmas, so the excitement has been building for a few weeks now. At the tender age of 35, I would have thought my child like excitement for all things new, would have somewhat dimmed by now. It seems it is still the same as it ever was, maybe even worse. Worse because I can now generate my own excitement and not have to wait for it to be created. As I lay there in bed, I started to think about the journey, and what the day will bring, I then thought 'you know what, I should go and write the UKP newsletter'. So here I am, full of beans, in a silent house (except for that darn clock in the kitchen) with no one to talk to and only the dog for company. HAPPY NEW YEAR!!!! Only a week on and it all seems so far away, but at least this now makes Ultimate Dubs feel that little bit closer. I personally have never been to this show, so I am really looking forward to it. Hopefully the weather will be fine for us all, so we can have a good nosey round the car park too. 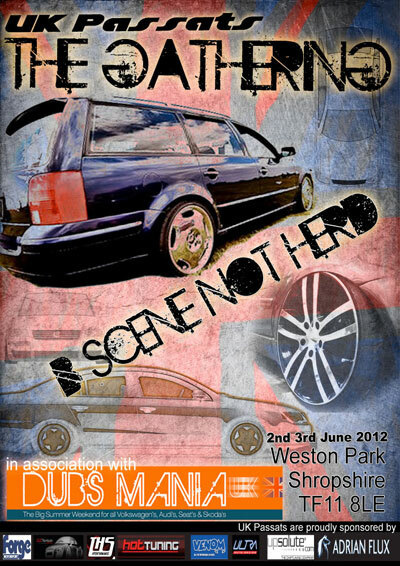 We have just released the 2012 flyer for our own annual show - UK Passats The Gathering. 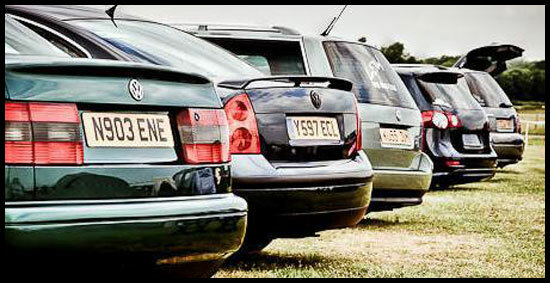 This year will see UK Passats joining forces with Dubs Mania. This is a real positive step for UK Passats as we still get to maintain our own show, but have it run along side an already established show. This, we feel, should give our members a more comprehensive weekend with a lot more variety of cars to be seen. The clock has now ticked away to a more suitable time, so I shall bid you farewell, and wish you all a safe and sound start to 2012.
mks007 has had his fair share of unfortunate incidents, but they were with his previous Passat. 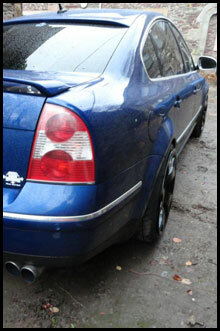 His current Passat has gone from strength to strength. Starting out as a very respectable B5.5 Sport TDI, he has put all of his Passat know how into making this one stand out from the crowd. You have received this newsletter as a registered user of UK Passats. If you do not wish to receive emails from UK Passats you can unsubscribe here. UK Passats will not pass on your information to third parties.